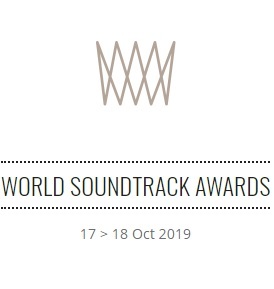 Varèse Sarabande, in partnership with Tomek Productions, will release a very special Blu-ray marking the first anniversary of the passing of Academy Award®-winning composer James Horner (TITANIC, APOLLO 13, BRAVEHEART). 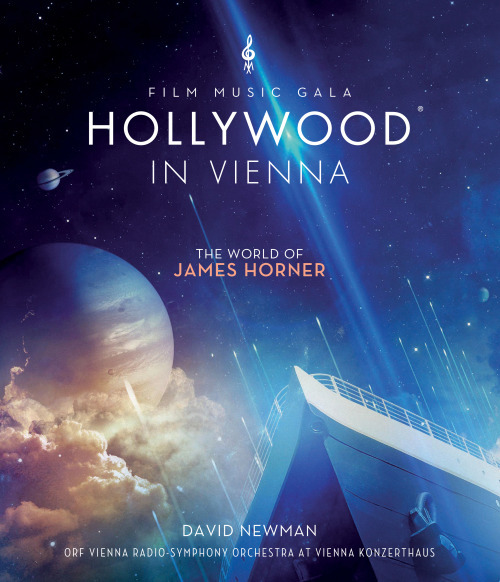 HOLLYWOOD IN VIENNA: THE WORLD OF JAMES HORNER was recorded in Vienna, Austria, as a part of a celebration of his life and music. 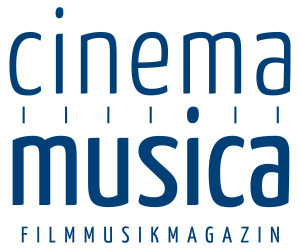 At the annual film music gala, celebrating the world’s leading film composers and produced by Sandra Tomek, Horner was awarded by the City of Vienna with the “Max Steiner Film Music Achievement Award”. “I am very glad that our concert celebration in Vienna was so special for James – and it’s lovely that we can share this special evening with many more thanks to this Blu-ray release by Varèse Sarabande,” said Tomek. The ORF Vienna Radio-Symphony Orchestra, conducted by David Newman, paid tribute to Horner on October 3 and 4, 2013, with two concerts at the Vienna Konzerthaus. It was the first time in his career that Horner was an audience member at an orchestral concert of the beloved themes that he wrote. This setting reinvigorated Horner’s love of concert music and opened the composer up to exploring this new frontier in the years before his passing. The repertoire performed included music from STAR TREK: THE WRATH OF KHAN, AVATAR, TITANIC and THE AMAZING SPIDER-MAN. Featured in a medley were Horner’s themes from WILLOW, A BEAUTIFUL MIND, APOLLO 13, ALIENS, THE MASK OF ZORRO and THE ROCKETEER. Singer Deborah Cox was joined by pianist and singer Jeremy Schonfeld on a beautiful performance of “Somewhere Out There” from AN AMERICAN TAIL. Geza Frank performed the Irish bagpipes on the always-riveting music from BRAVEHEART. No retrospective of Horner’s work would be complete without TITANIC – featuring vocals by soprano Ildikó Raimondi. “Our symposium was held at the ‘Max Reinhardt Seminar’ of the Vienna University of Music, where James’ father, Harry Horner, studied stage design. It was the first time James came back to these locations. Those days were just magical, for him and for all of us,” Tomek stated. Having composed the music for more than 130 film and television productions, including dozens of the most memorable and successful films of the past three decades, James Horner was among the world’s most prolific and beloved film composers. He earned two Academy Awards and two Golden Globe Awards for his music from James Cameron’s TITANIC (one for Best Original Score and one for the Best Original Song “My Heart Will Go On”), eight additional Academy Award nominations, five additional Golden Globe nominations, and won six Grammy awards, including Song of the Year in both 1987 (for “Somewhere Out There”) and 1998 (for “My Heart Will Go On”). In April of 1998, Horner’s TITANIC soundtrack album on Sony Classical completed an unprecedented run of 16 weeks at number 1 on the Billboard Top 200 Album Chart, setting a new record for the most consecutive weeks at number 1 for a score album. It remains the largest selling instrumental score album in history, having sold nearly 10 million copies in the US and more than 27 million copies worldwide. Sony Classical’s multi-platinum sequel soundtrack album Back to TITANIC featured additional music from the film as well as several new compositions by Horner based upon themes from his original score. Known for his stylistic diversity, his other film credits included The Amazing Spider-Man, Black Gold, For Greater Glory, Karate Kid, Avatar, Apocalypto, Flight Plan, The New World, The Legend of Zorro, The Forgotten, Troy, Bobby Jones: Stroke of Genius, House of Sand and Fog, The Missing, Beyond Borders, The Four Feathers, Radio, A Beautiful Mind, Iris, Enemy at the Gates, Dr. Seuss’ How The Grinch Stole Christmas, The Perfect Storm, BRAINSTORM Bicentennial Man, Mighty Joe Young, The Mask Of Zorro, Deep Impact, GLORY, The Spitfire Grill, Braveheart, Apollo 13, Casper, Legends of the Fall, Clear and Present Danger, The Pelican Brief, The Man Without a Face, Patriot Games, Sneakers, The Rocketeer, Glory, In Country, Field of Dreams, Honey I Shrunk the Kids, The Land Before Time, Willow, An American Tail, The Name Of The Rose, Cocoon, Gorky Park, Cocoon and Cocoon: The Return, 48 Hours and Another 48 Hours, and STAR TREK II and III. His final film projects included director Jean- Jacques Annaud’s WOLF TOTEM, director Patricia Riggen’s THE 33, and director Antoine Fuqua’s SOUTHPAW. Born in Los Angeles in 1953, Horner spent his formative years living in London where he attended the prestigious Royal College of Music. His initial interest was to become a composer of serious, avant-garde classical music. Returning to his native California, Horner continued his music education at the University of Southern California where he received a Bachelor of Music in Composition. He then transferred to the Masters program at UCLA where he earned his Doctorate in Music Composition and Theory. In 1980, Horner was approached by the American Film Institute and asked to score a short film, after which he left the academic world and began working for Roger Corman at New World Pictures, where he became acquainted with a number of young directors including Ron Howard, for whom he would later score such films as Willow, Cocoon, and Apollo 13. Also during his time at New World, Horner met a young cameraman named James Cameron, with whom he would later collaborate on the hit sequel ALIENS, and the two highest grossing films of all time, Avatar and Titanic. In the ensuing years, Horner collaborated with many of Hollywood’s most noted and successful filmmakers, including Ed Zwick, Joe Johnston, Phil Alden Robinson, Steven Spielberg, William Friedkin, Mel Gibson, Oliver Stone, Philip Noyce, Michael Apted, Lasse Hallstrom, Norman Jewison, and Francis Ford Coppola. Equally comfortable with lush orchestral scoring and contemporary electronic techniques, Horner likened his approach to composing to that of a painter, where the film serves as the canvas and where musical color is used to describe and support the film’s emotional dynamics. He was also noted for his integration of unusual ethnic instruments into the traditional orchestral palette in order to achieve exotic colors and textures. 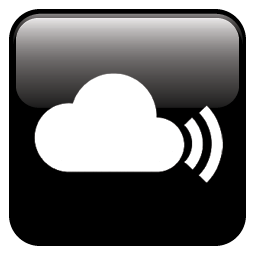 An accomplished conductor, Horner preferred to conduct his orchestral film scores directly to picture and without the use of click tracks or other mechanical timing devices. He also composed several concert works including “Spectral Shimmers,” which was performed by the Indianapolis Symphony Orchestra, and “A Forest Passage,” commissioned by the Cleveland Orchestra in celebration of the 25th anniversary of the Cuyahoga Valley National Recreational Area in Ohio. His final concert works were “Pas de Deux”, a double concerto for violin, cello and orchestra commissioned by soloists Mari and Håkon Samuelsen, and “Collage: A Concerto for Four Horns and Orchestra”, which was premiered by the London Philharmonic Orchestra in March of 2015. Tragically, Horner died on June 22, 2015, when the single – engine aircraft he was piloting crashed in a remote area of northern Ventura County, California. He was 61 years old. Horner was survived by his wife, Sarah, and his two daughters, Emily and Becky. He left behind a legacy of some of the most influential and acclaimed music in the history of cinema. Varèse Sarabande will release the HOLLYWOOD IN VIENNA: THE WORLD OF JAMES HORNER Blu-ray through major platforms and retailers in June 2016.